rusty angel art life is filled with Pretty Things, enjoy them! : blog give away!!!! I must be lucky 5000 as I'm first to post a comment on your blog!!!!!LOL! I love all your work so anything will be gorgeous and given a good home! Congrats on all the hits !!!! Hi, Tanya! I posted on the previous blog to this effect. Should I post again here?? Congrats on hitting the 5000 mark! I'm not even close!! Take care!! Zo, 5000 hits, dat zijn er heel wat! Gefeliciteerd! Nu op naar de 10.000!!! Superblog! Niet voor niets dat er al zoveel volk een kijkje kwam nemen. 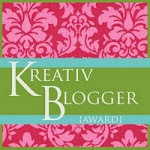 Nog veel scrapplezier en tot blogs! Hey Tanya, I'm sure it's past midnight in Brussels...but I wanted to congratulate you on your 5ooo plus visits.